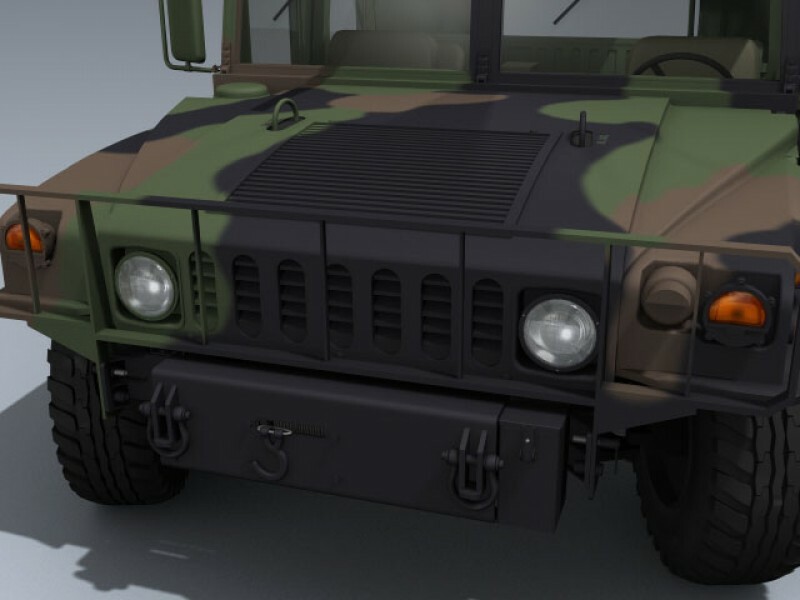 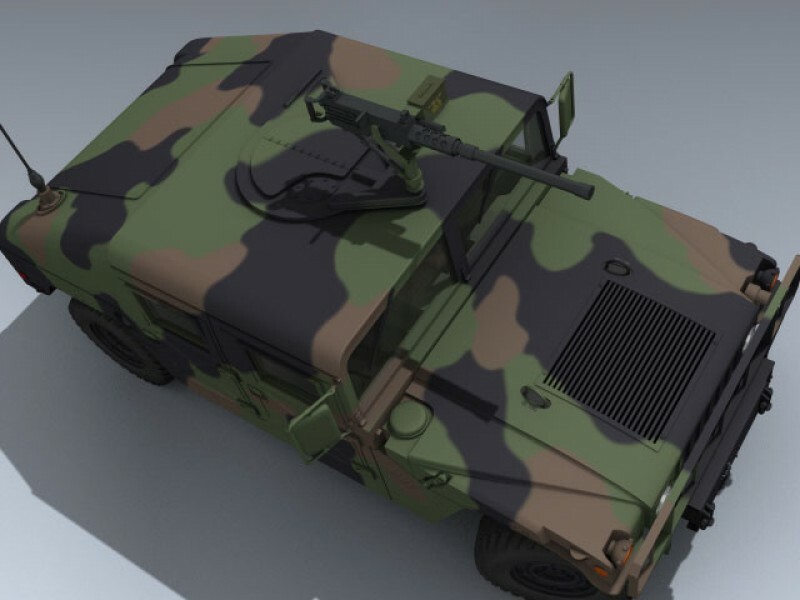 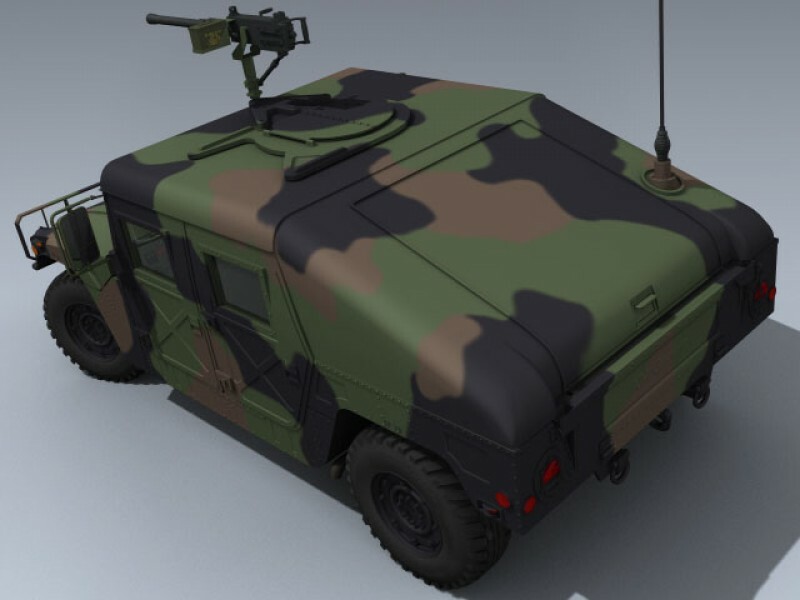 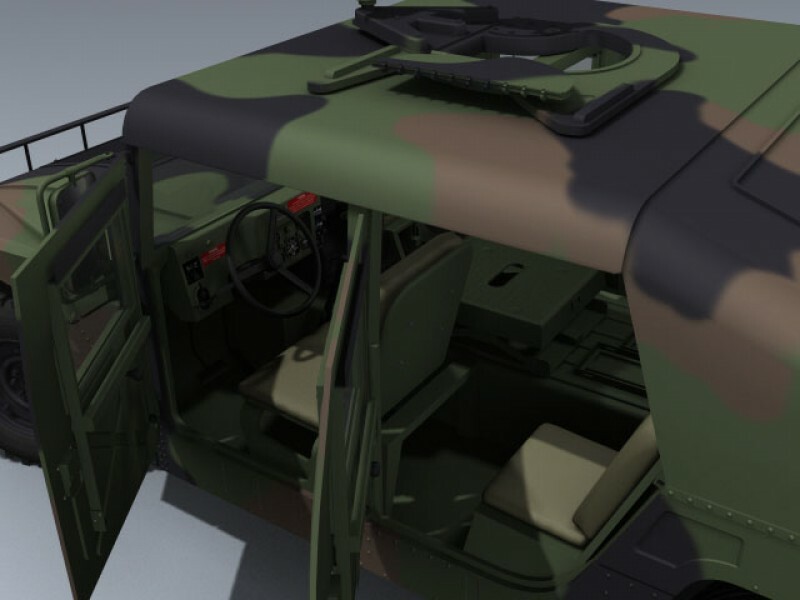 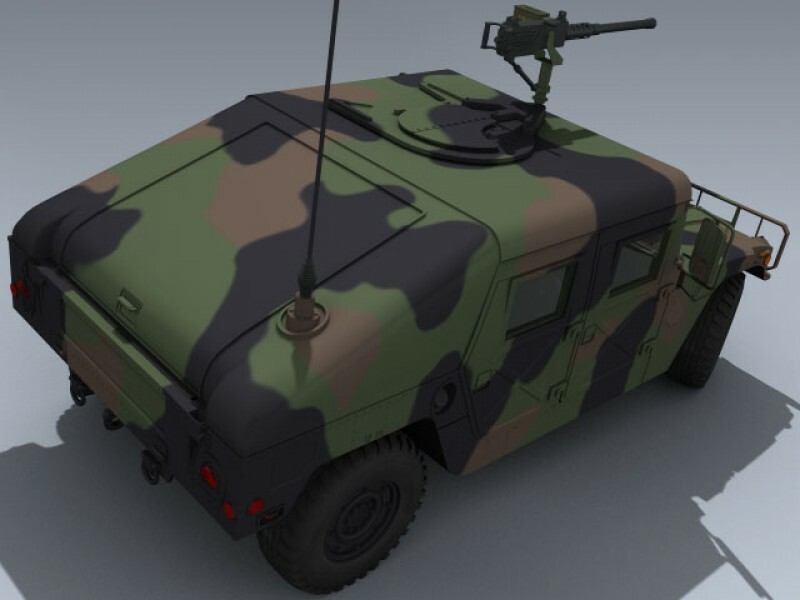 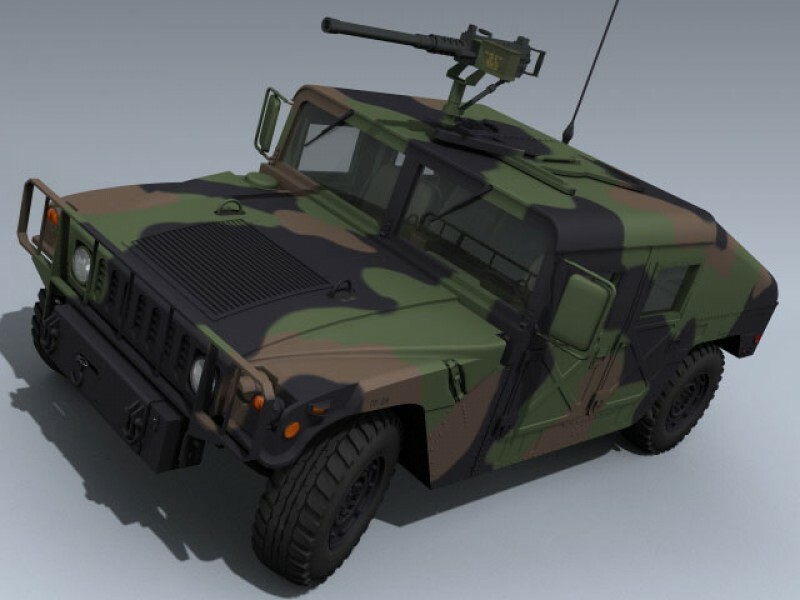 Extremely detailed early US Army armament carrier Humvee in NATO 3-color camouflage. 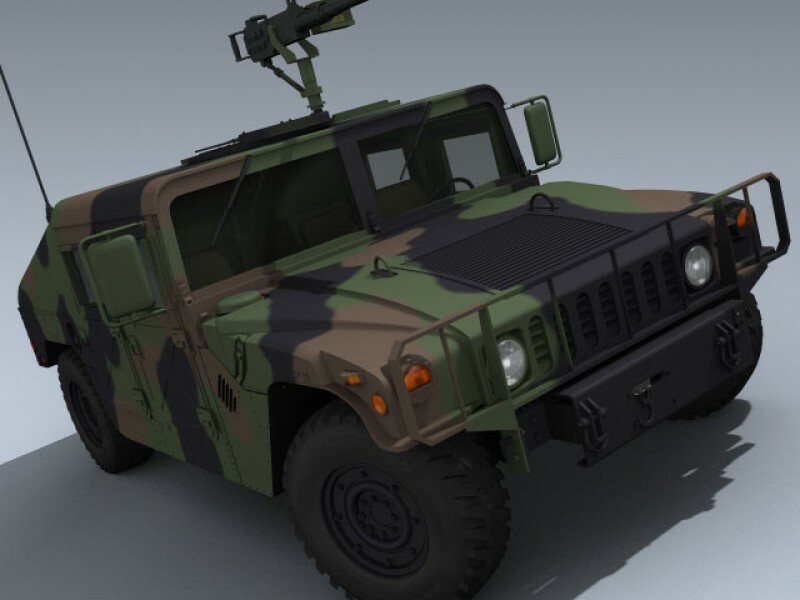 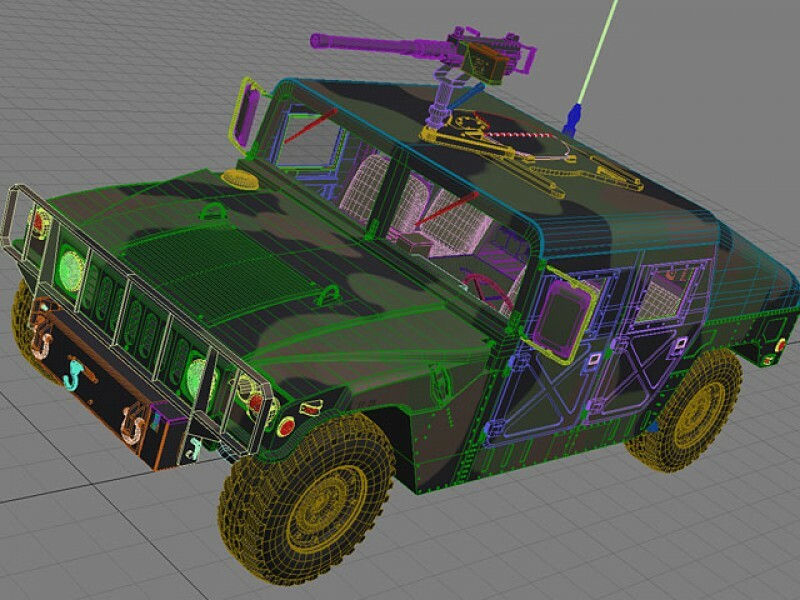 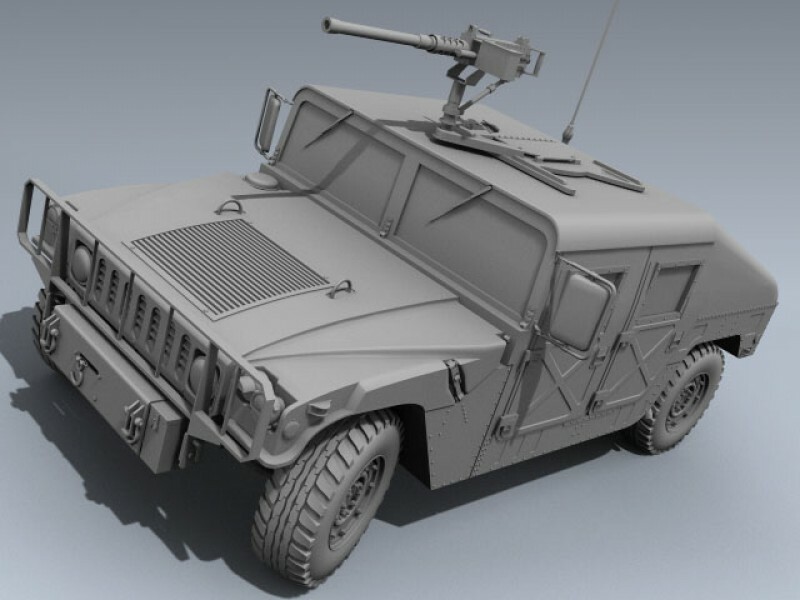 This version features a typical roof-mounted 50cal machine gun, early non-radial tires, and winch. 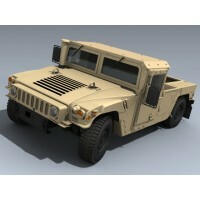 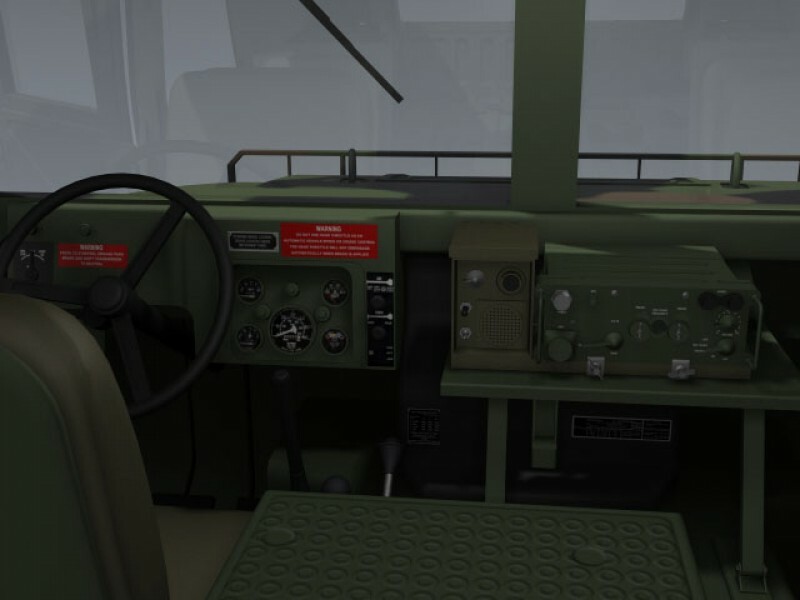 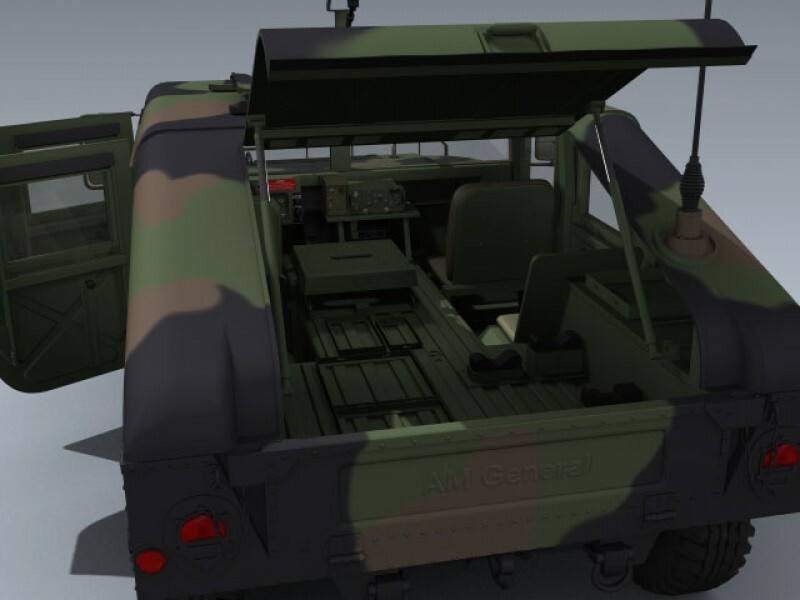 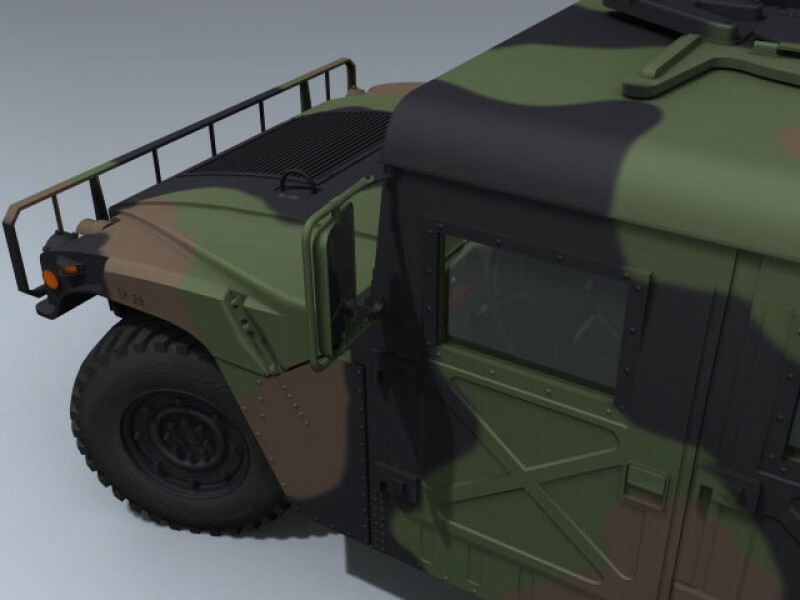 Also features separate detailed doors, side windows, turret, hatches, wheels and suspension for easy animating.